my next winning feature goes to this gorgeous baby elephant naming party via style me gorgeous and michelle leigh photography. OH HOW ADORABLE. i can not contain myself. 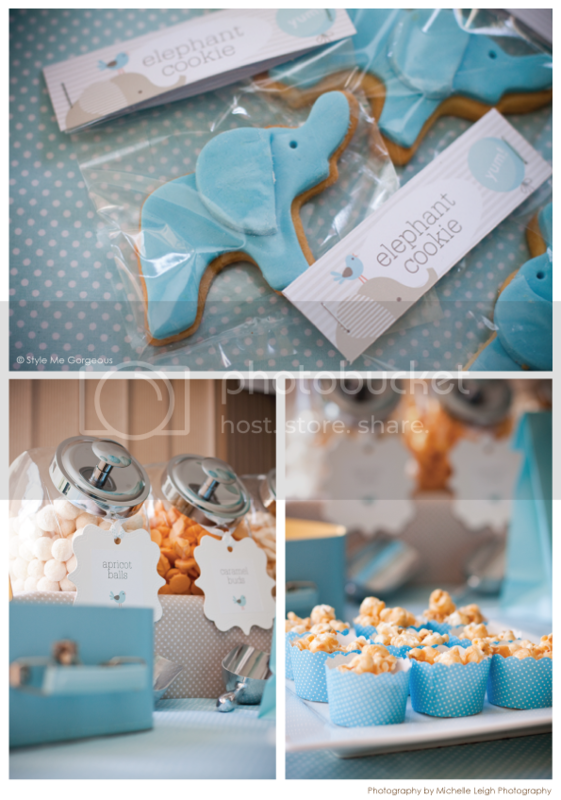 there are a lot of elephant parties floating around the web right now. this one is definitely on top of the list. Beautiful! Like all things that usually you post! I love the details, and the soft colors. 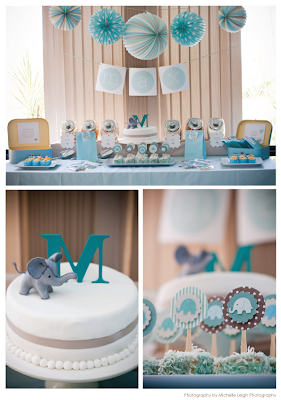 This party is gorgeous, but it's driving me nuts that the "M" on the cake looks backwards. I know, sounds weird, but take a look. 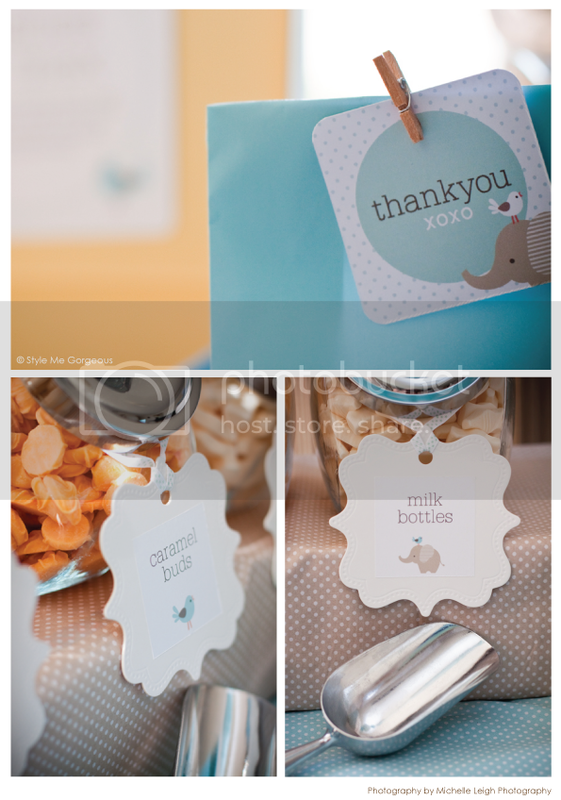 I wish I knew where they found these adorable decorations and favors!!! 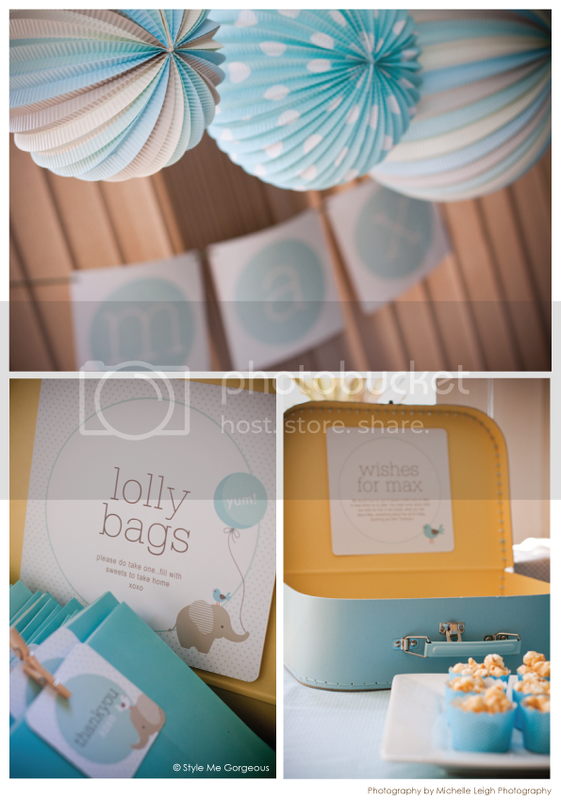 This is exactly what I need for my baby shower!! Please tell me!!!! thanks you!!! Does anyone know how to make those cute japanese paper balls? What are they called? So cuute!!! 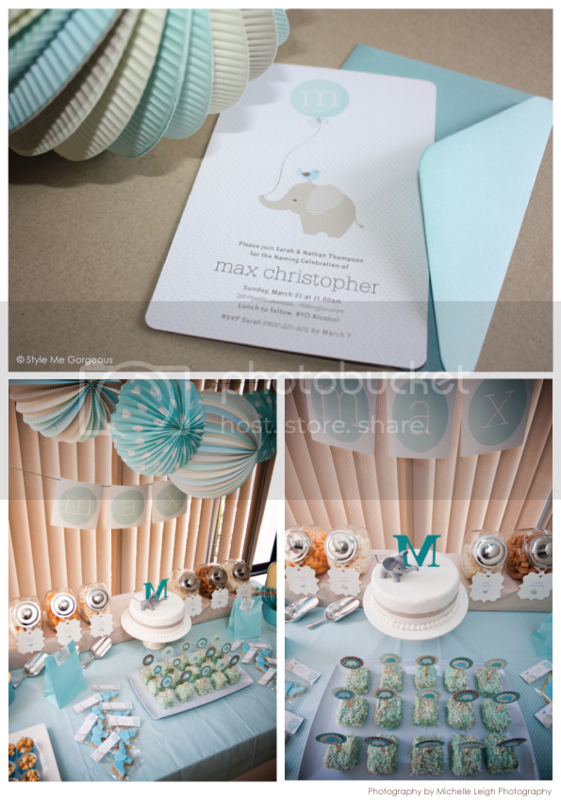 they're called, 'paper lanterns' and can be found at most party stores. try ebay as well :). i'm not sure how to make them though.